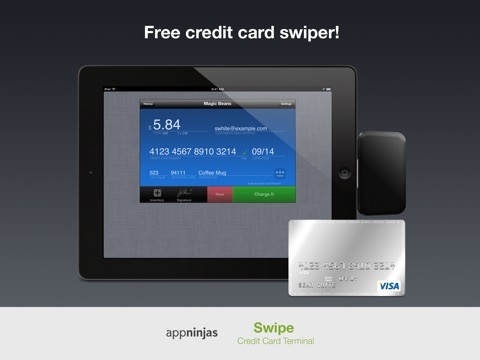 Swipe is the safe and secure way to process credit cards. Existing merchant? 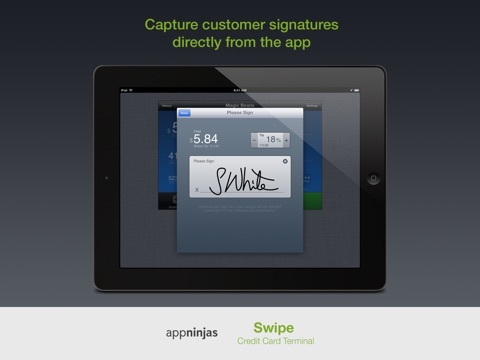 Use your own merchant account with Swipe! 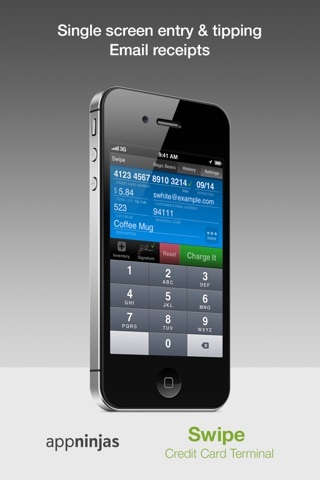 We are the only independently owned (non-bank owned) credit card terminal on the iPhone, so we work for you, our customers. 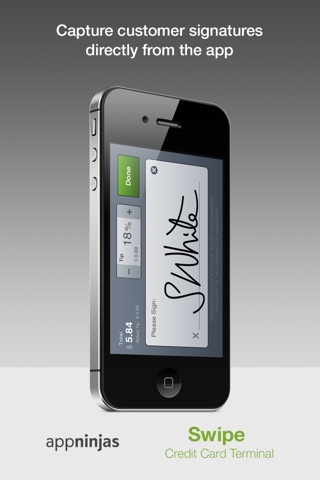 • Signature Capture: Capture your customers' signatures electronically and they are emailed to you. 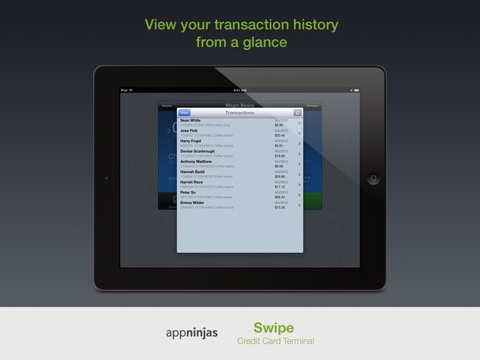 • Take Tips: Set a default tip amount and watch profits soar! 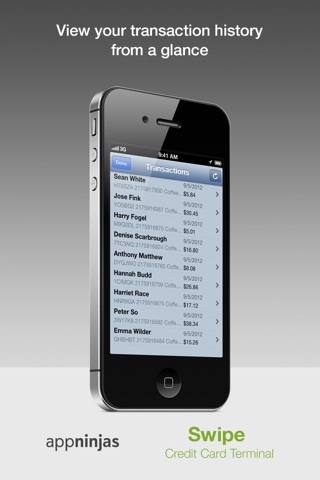 • Fast and convenient: Single screen entry means you're done with the transaction and onto the next customer in a snap. • Safer: Swipe has been evaluated by a PCI QSA and found to meet current PA-DSS standards. • Team-Ready: One account can be installed across multiple phones with our easy online management portal. 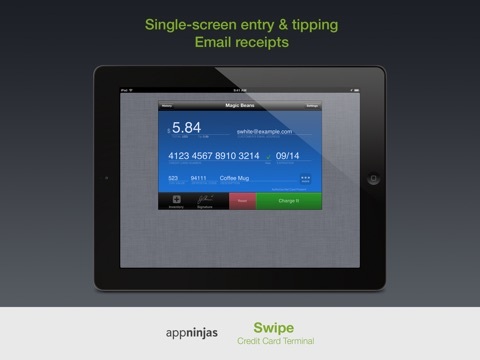 • Compatible with RingitUp: manage your orders, calculate totals, and more. Contact us at [email protected] if you need help with anything at all.